The current residential housing trend in the award-winning Lakewood Ranch master-planned community is focused on worry-free living. The purpose of this trend is to provide a maintenance-free lifestyle in an attractive neighborhood that is within walking distance of amenities, suburban comforts, business centers, and nature. Lake Vista in Lakewood Ranch easily fulfills this purpose. Lake Vista is made up of six condominiums that are three stories high and feature a variety of floor plans. The units in these low-rise buildings range from 1,700 to 4,000 square feet of air-conditioned space. Pricing starts under $280K for an open floor plan that features three bedrooms and two bathrooms. Owners of the larger penthouses tend to hold on to them, and thus they do not last too long when they are listed on the market. The floor plans in this neighborhood feature plenty of attractive features such as luxury appliances, hardwood maple cabinets, foyers that open up to spacious floor plans, covered lanais, Kohler bathroom and sink fixtures, panoramic windows to enjoy the lake and nature preserve views, and more. The Lake Vista condominiums were inaugurated in 2007. This gated community offers residents their own heated swimming pool, a fitness center and a clubhouse. Just beyond the gates residents can walk to the Main Street dining and shopping district, the Lakewood Ranch town center and the San Marco Plaza. 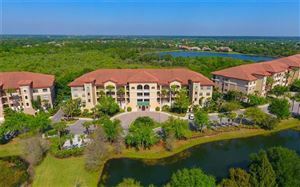 Other Lakewood Ranch amenities located near Lake Vista include: Lake Uihlein and its canoe launch, Adventure Park and the Legacy Golf Course designed by Arnold Palmer. The maintenance-free lifestyle of the Lake Vista village of Lakewood Ranch attracts many retirees, but the neighborhood also welcomes families. School-age residents of Lake Vista attend Willis Elementary, Nolan Middle and Lakewood Ranch High Schools. 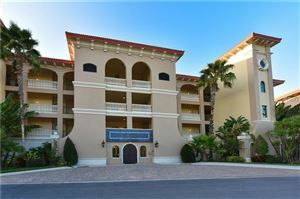 See all Lake Vista Lakewood Ranch Condos for Sale.